I can’t believe it is almost December! The last few months have just flown by. I think (for me) that is mainly because I have just been so so so busy at work I hardly keep up with what day it is. Thankfully – the end of November is the end of our busy season and we can start to relax into the Christmas / Silly season. Wheww! Given that Christmas is almost upon us – it’s fitting that the Just Add Ink Challenge this week is a Christmas one. 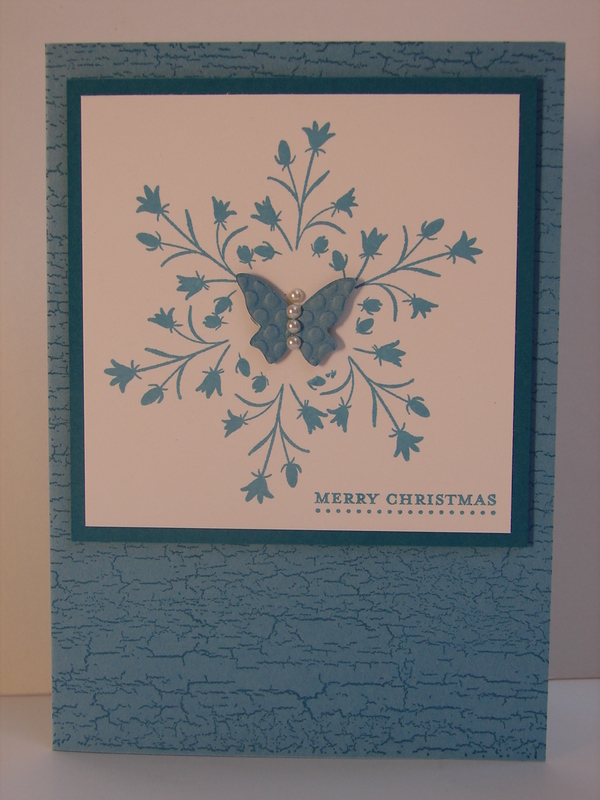 We are Challenging you to Create a Christmas project using a Non-Traditional Christmas Stamp. Ohh I had so many ideas for this challenge…and just as well because I have a similar challenge running with Kim (my friend) and Nadine (my sister) too. 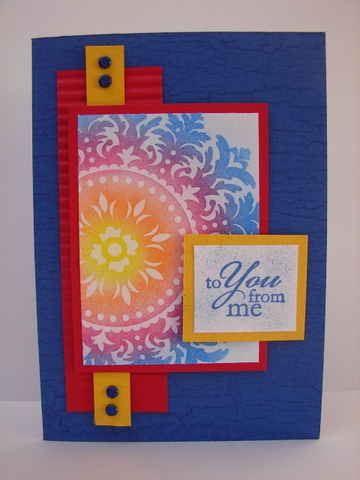 So – for this week – here is my Just Add Ink, Non-traditional Card. I’m calling it a Butterfly Snowflake. 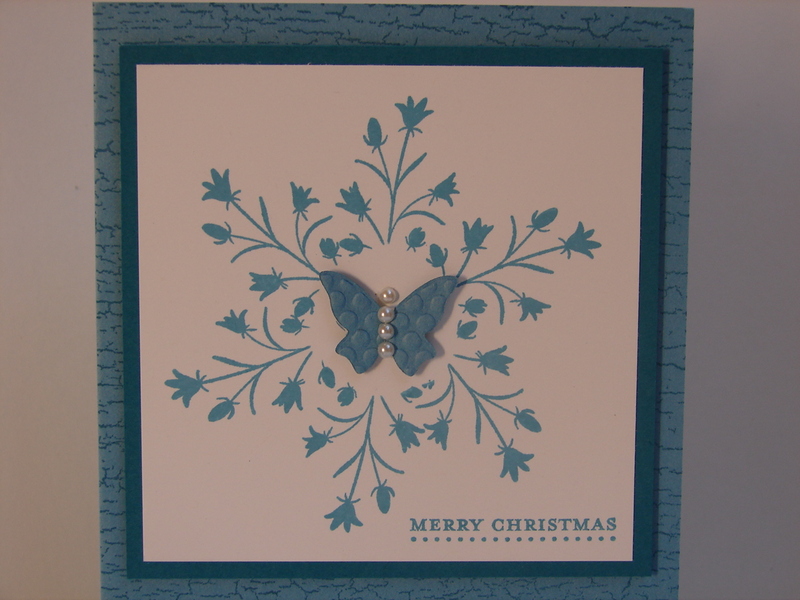 I decided to use Marina Mist – cause I love this colour and it’s not a traditional Christmas colour. 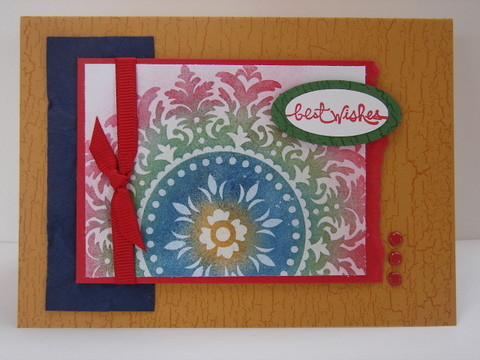 This Card was actually CASED from one done by my friend Tracey Wilson – in 2009. 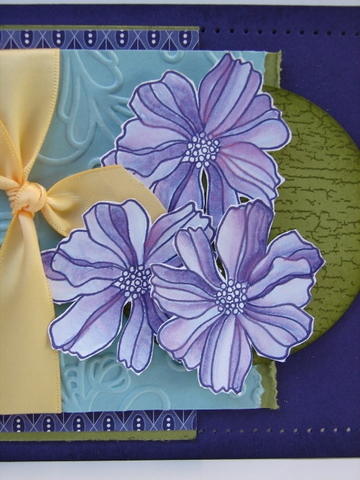 Tracey demonstrated some masking techniques and made the following card. The Stamp Set is Pocket Silhouettes. 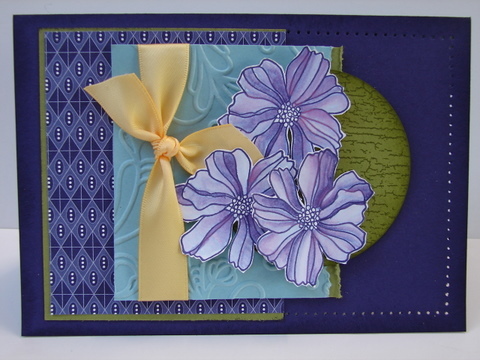 Tracey used Kiwi Kiss and Chocolate Chip for this card. I look forward to showing you my other Non-Traditional Christmas project soon. Meanwhile – go to Just Add Ink and check out the other fantastic projects. Don’t forget to upload your projects so we can see them too. We are colour in at Just Add Ink this week……..there are loads and loads of things that can be done with colouring in. 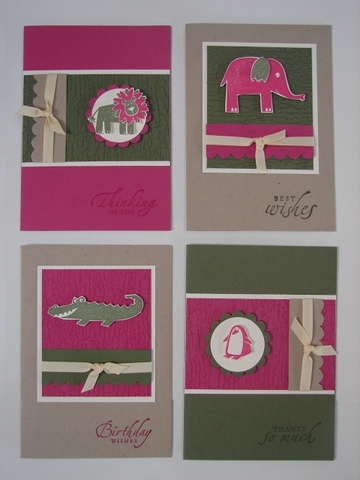 I decided to take my inspiration this week from the Stampin Up Idea Books and Catalogues. First I flicked through the Current Catty to find a colour combo. It’s from pages 50 & 51 of the current Catty. Concord Crush, Daffodil Delight, Old Olive and Baja Breeze. Then I flicked through the 2007/2008 Catty to find a Layout on Page 95. HINT: I keep all my old Catties – cause they are great to use for ideas and inspiration. There are so many ideas to help get you started creating something new. So here is the card that I came up with……. I was amazed when colouring the flowers. I used one colour – Concord Crush and an Aqua Painter. I got such a range of colours from purple right through to pink! Wicked! 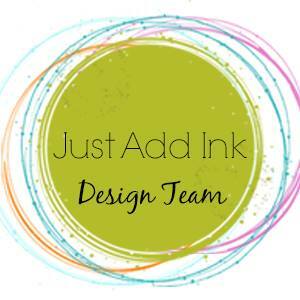 To see the other DT members creations and to submit you entry visit Just Add Ink. 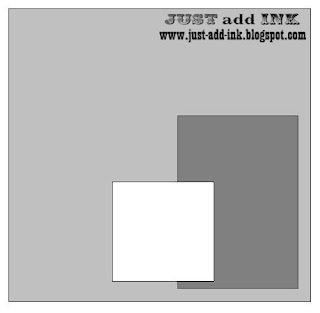 The Challenge at Just Add Ink this week is a Sketch Challenge. So take a look at the Sketch below and have a go at creating something. Remember you can flip it, rotate, stretch or shrink, add a few things here and there, as long as you use the sketch as your inspiration. 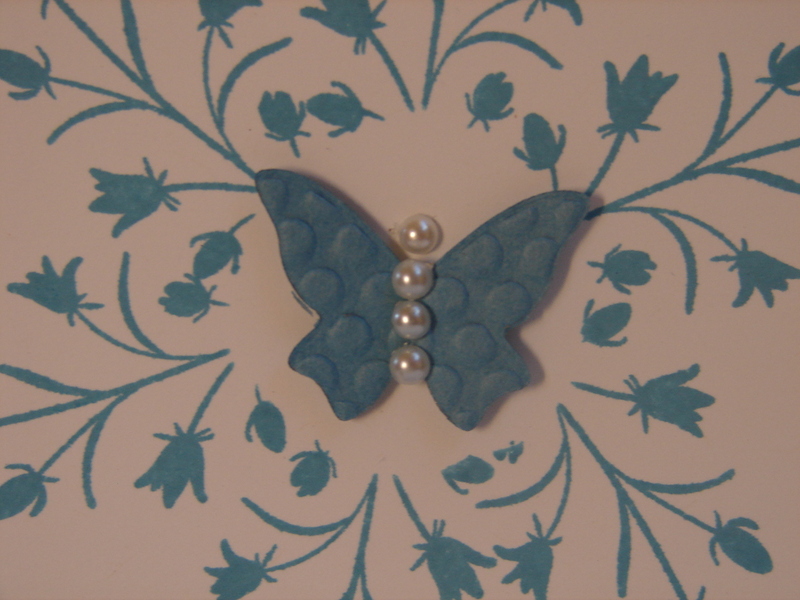 You can do a card, scrapbook layout or 3D project….it’s up to you. Just have fun. I just got my Medallion Stamp….and I must say it has been getting a work-out. I’ve done heaps with it already. 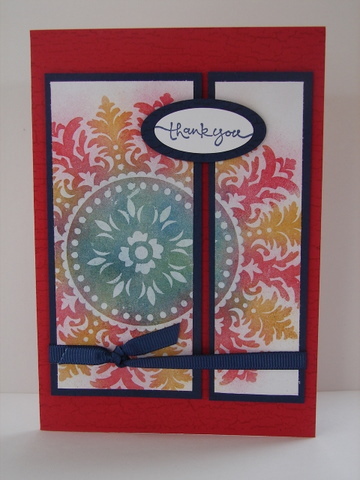 I love the colours on this card…it is very bright and vibrant. The Design Team have made some beautiful things using this sketch for inspiration – so go and check it out here.